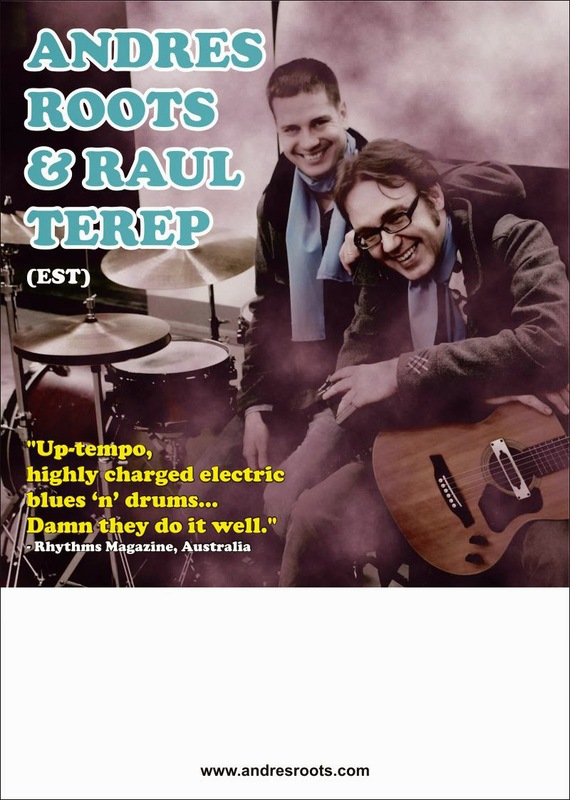 In March, Roots & Terep will be playing their first shows in Sweden: at Bricks in Karlstad on March 14th & at Stampen in Stockholm on March 16th. Before then, though, the duo will go on a winter tour of Finland and Estonia (with more Estonian dates still TBA!) that kicks off with shows in Lahti & Helsinki on January 30th & 31st, respectively. The Estonian Muusika magazine has published a great review of "Live In Lerwick", and so has the UK's Bluesinthenorthwest.com: "Any new release from the talented Estonian guitarist and writer Andres Roots is always welcome, and here is a most enjoyable 10-track live offering... Highly recommended for all lovers of traditional blues with four great musicians and a nice choice of material, that is well played and recorded."